Bob Boyte Honda is here to serve Madison area drivers with high quality vehicles and services, but our commitment to you doesn’t stop there. We’re a dealership whose staff has roots planted firmly in the soils of Jackson, Brandon, and other area townships, and that’s why we’ve made it part of our company’s vision to give back in every way we can. From local organizations to school districts and charitable events, Bob Boyte Honda is here to make sure our community succeeds as much as our dealership succeeds. We are proud to be partnered with the Brandon Amphitheater, matching up our test drivers with tickets to shows, VIP experiences, a chance to meet the band before the show, and other concert prize packages. Special Olympics – The team at Bob Boyte Honda wants to see everyone reach their highest potential and succeed in life. The Special Olympics is an important part of that vision, and we’re happy to support this important organization. March of Dimes – Premature birth is something the impacts families all over. March of Dimes helps give more babies a fighting chance, and Bob Boyte Honda is glad to help out by supporting their mission. Local Police and Fire Departments – We know that our local public servants help keep our communities safe, which is one reason we’ve contributed to a number of local police and fire departments. Local Schools – As we know, our children are our future. Bob Boyte Honda invests in that future with donations to MHSAA Athletics and the Clinton School District. Other Causes – We’ve also contributed to The Salvation Army, the Make-A-Wish Foundation, and Camp Bulldog over the years. 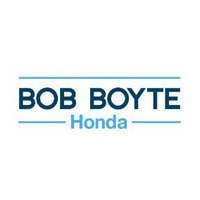 The team at Bob Boyte Honda is here to serve the community in a variety of different ways, and our expertise centers around the cars at our dealership. If you’re in the market for a new Honda car or SUV or pre-owned vehicle, make your way to see us at 2188 Highway 18 in Brandon, MS. You can also contact us online or give us a call at (601) 591-5000. Bob Boyte Honda	32.2710065, -90.0371763.